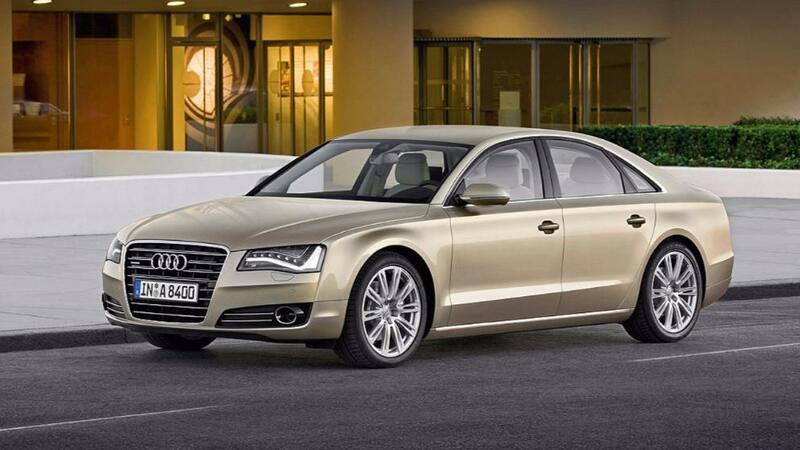 German publication Bild reports that emissions cheating software has been found by investigators in Audi A8 cars. The government has asked that about 250K cars by recalled by Audi to address the issue. The Munich Public Prosecutor’s Office is expanding its investigation into Audi’s alleged fraud. In this case, car sales in Germany and Europe, not just as in the US, are now included, said a spokesman for the prosecutor’s office on Friday. It was found, as before, on the basis of suspicions of fraud and criminal prosecution. However, the German Federal Motor Vehicle Agency (KBA) did not receive any up-to-date information on possible exhaust gas fraud. Two Audi models have been flown with illegally manipulated exhaust gas purification! The research commission of Federal Minister of Transport Alexander Dobrindt (CSU) came up with the luxury model Audi A8 Automatic with a V6 and V8 TDI engine (built 2009 to 2013) of cheating software. The illegal software detects when the vehicle is on a test stand in the workshop. There, all exhaust gas purification systems are properly commissioned, but switched off in long-range operation over long distances. The Frankfurt Motor Show kicks off and shows a number of interesting Electric Car from Audi and Porsche. As Tesla sales continue to grow with the Model S and the soon to be released Model X the German marques are getting concerned and starting to show their cards on how they plan to fight back. 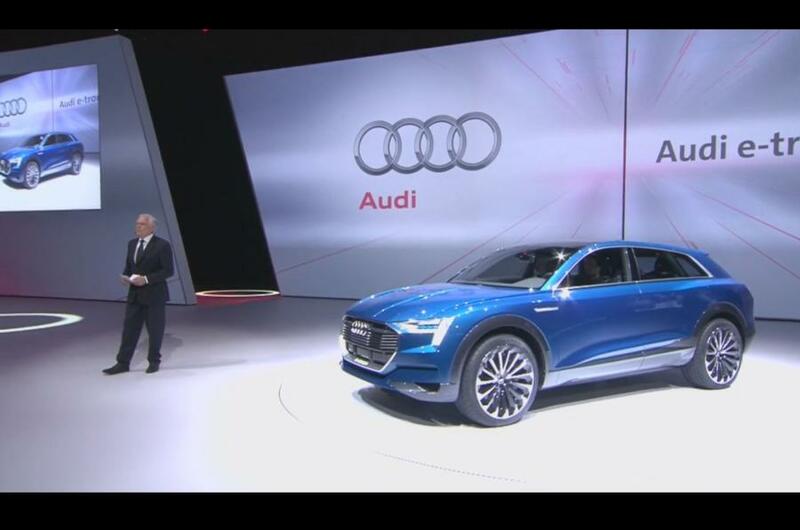 First up the Audi E-Tron concept will hit the streets as the Q6 e-tron in 2018, according to Autocar. We will showcase the Porsche concept car in a later post. The e-tron-quattro sports a bold new design that suggests future electric models from Audi will have their own aerodynamically optimised look. It draws on the latest developments in lightweight construction, aerodynamics, battery technology and electric drive systems to provide the performance to challenge the fastest of Audi’s existing petrol, diesel and electric SUV models whilst delivering a claimed zero-emission range of up to 311 miles. This vehicle will in some ways be pitched at the Tesla Model X as they will be similar sized, with similar range and similar price. 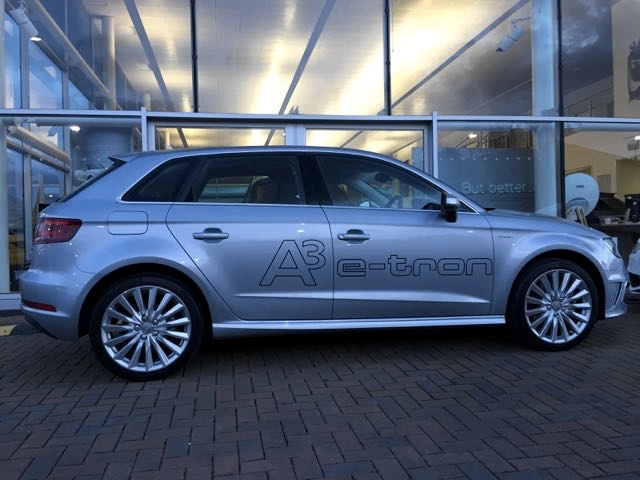 With the existing Audi A3 E-tron plug-in Audi, have some first hand experience in the EV world. However this will be at least two years behind the Tesla SUV and a lot can happen in those years. Also Tesla is building out a pan Europen charging network of fast charging points for Model S and X owners, permitting them to drive virtually all over Europe for free and with minimal charge time. 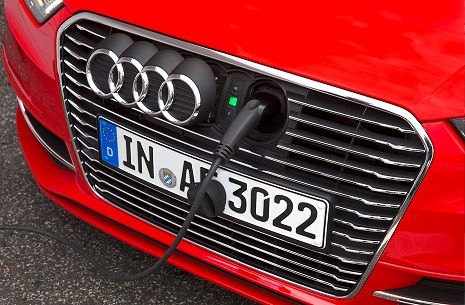 Audi are pushing a 150KW rapid charge technology in the Q6. No mention of what this is or where you would find a 150 KW power point. They have also highlighted a more reasonable 11Kw wireless charging system using Inductive technology. Apparently the car will include a piloted parking function that has been conceived to automatically park over a charging plate imbedded in the ground. The charging process starts automatically, with a magnetic field providing an alternating AC current that is converted to DC by the e-tron quattro’s electronic package. Once the battery is topped up, the charging automatically ceases. The whole process can be monitored and controlled via a smartphone app. We wait to see if this is the end of cables as we know them and more details on where a charge plate could be installed. In a home garage would seem ideal but would look to be a complex and messy retrofit to a floor. 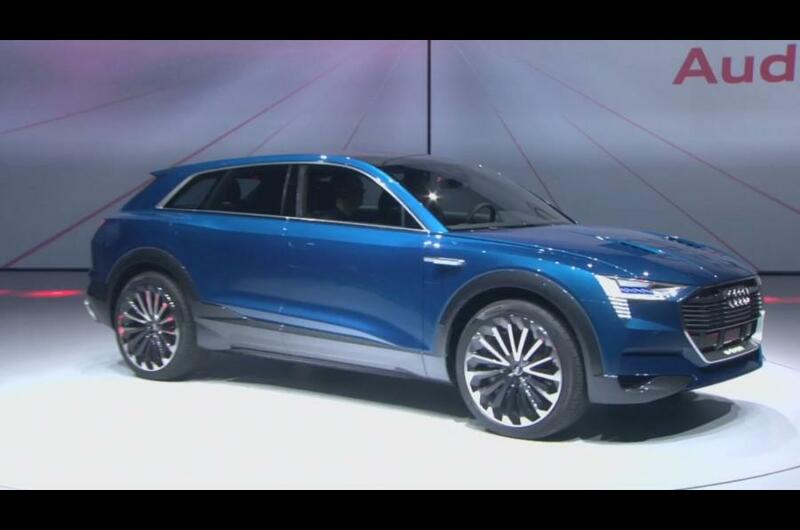 At the heart of Audi’s concept Q6 is an in-house developed electric drive system. It uses three motors – one mounted up front sending drive to the front wheels and the remaining two sited at the rear acting on the rear wheels. Nominal power is put at 429bhp, although a boosting function made available in the more sportier of two drive modes temporarily increases its maximum output to 496bhp. 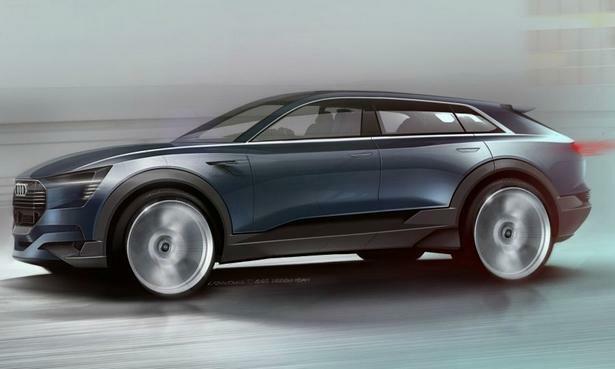 It is accompanied by peak torque of 590lb ft.
Audi is yet to reveal a weight figure for the e-tron quattro. However, it is claimed to have an 0-62mph time of just 4.6sec. Top speed is limited to 131mph to preserve the battery charge. 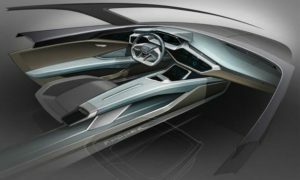 All of that power is good enough to push the sleek concept to 100 kilometers per hour (62.1 miles per hour) in 4.6 seconds. Top speed will be electronically limited to 130.5 mph. This isn’t Tesla ludicrous territory, but is should feel plenty peppy on the road. 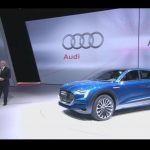 On a full charge, the battery is claimed to provide the e-tron quattro concept with a range of over 311 miles based on the criteria used in the New European Driving Cycle (NEDC) test procedure. As for charging, the concept offers a few ways to fill up the 95-kWh battery pack. There’s the expected SAE Combo/Combined Charging System (CCS) outlet as well as wireless induction charging. Audi says that a 150-kW DC fast charger can fill up the pack in around 50 minutes, but good luck finding a plug that can handle that much power – even in 2018. Stretching to 4880mm in length, 1930mm in width and 1540mm in height, the e-tron quattro is 250mm longer, 30mm wider and 115mm lower than the existing first-generation Q5. Yet despite the generous dimensions, the drag co-efficient is significantly better than any of Audi’s current SUV models at 0.25. The large lithium-ion battery is integrated into the floor of the passenger compartment. 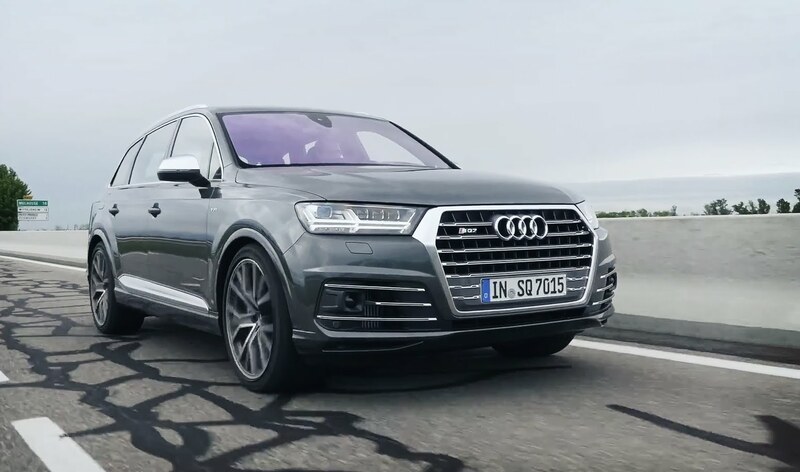 It gives the Audi e‑tron quattro concept a balanced axle load distribution and a low center of gravity – prerequisites for its dynamic handling. 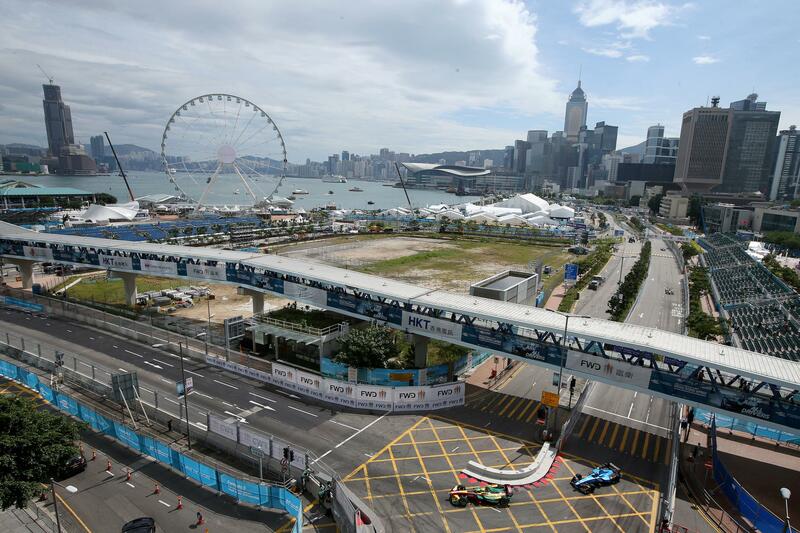 The battery’s capacity of 95 kWh enables a range of more than 500 kilometers (310.7 mi). The Combined Charging System (CCS) enables charging with DC or AC electrical current. A full charge with DC electrical current at a charging column with an output of 150 kW takes just around 50 minutes. As an alternative, the study is equipped with Audi Wireless Charging technology for contactless induction charging. The charging process is very convenient. The Audi e‑tron quattro concept uses a system for piloted parking that guides it to the proper position at the charging plate. In addition, a large solar roof provides electricity for the drive system battery on sunny days. The Audi e‑tron quattro concept harmoniously combines the design with the aerodynamics and all-electric drive system. The five-door technology study is 4.88 meters (16.0 ft) long, 1.93 meters (6.3 ft) wide and just 1.54 meters (5.1 ft) high. Its coupe-like silhouette with the extremely flat greenhouse that tapers strongly toward the rear lends it a very dynamic appearance. The car’s drag coefficient measures just 0.25 – a new best for the SUV segment, where figures are usually considerably over 0.30.